At Villa La Estancia, we are all about delighting your senses, relaxing your mind, and catering to your every whim and preference. Therefore, our multilingual staff are on hand 24/7 to make your experiences in your private residence even more special. Want to book a whale watching tour? Check. Go horseback riding on the beach? No problem. Need extra towels from a long day at the pool? Done! Whatever your needs may be, our internationally "Gold Key" rated concierge and housekeepers are available to make your stay as comfortable, effortless, and memorable as possible. That "home away from home" vibe that all Villas provide, coupled with the warmth and comfort of your suite, might just have you in the mood to relax and order in. And you can. Room service features a host of gourmet options from 7:00am to 11:00pm daily to tempt your taste buds for breakfast, lunch, dinner or snacks. Why not order a Baja California Wine from the well-stocked wine cellar or have cocktails brought to your residence? Just imagine having one of the resort’s talented chefs prepare a meal for you in your private residence. No prepping, cooking or even cleaning on your part. Your meal will be prepared for you in your private gourmet kitchen and then served where you wish, perhaps in your elegant dining room or on your private terrace. The choice is yours. Despite the gorgeous scenery and that "far away from the real world" ambiance, you are still connected...if you want to be. Every Villa is provided with internet connections and the property has wireless service around the pool and lobby. Faxing and photocopies services are also available. In-room washer and dryers are standard in every Two and Three Bedroom Villa but we also offer a full-service laundry facility. At Villa La Estancia, as with all our properties, we take security very seriously and want to ensure you have a safe and pleasant visit. A 24-hour security service and CCTV cameras provide for the entire property as well as the surrounding beaches and grounds. Villa La Estancia is completely self-sufficient thanks to our underground parking and storage facility which houses our state-of-the-art Private Power Station complete with water desalinization, electric generators, 24-hour electric current levelers of off-site current and our Trane air-conditioning cooler system. 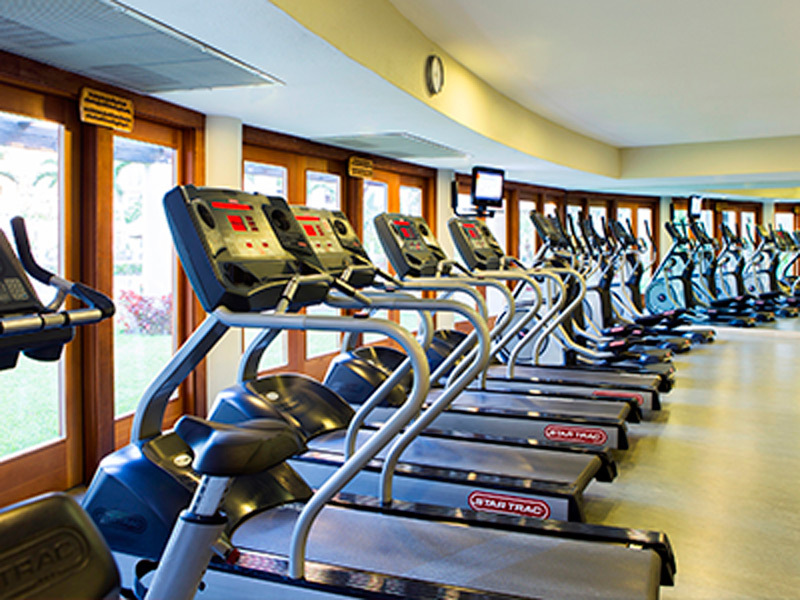 Delight in the unrivaled array of amenities, such as world-class spa and wellness center, a fully equipped fitness center, an infinity pool, tennis court and more.